Note: Please do not use the following characters (<,>,#,”,",&) or your engraving will be invalid. Image supplied is not a valid image. Please review the guidelines for upload An unexpected error has occured. Memories in Crystal LLC. 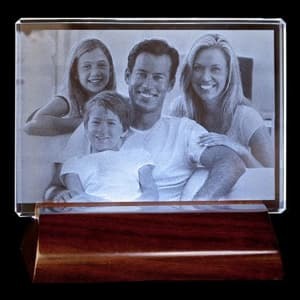 creates custom laser-etched photo crystal keepsakes designed to make a unique and beautiful gift that will be cherished and create a lifelong memorial. 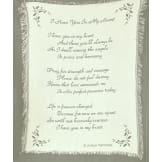 Each keepsake is a timeless, incredible, life-like piece of art that becomes a treasure that will last a lifetime. The Portrait Series is the perfect way to capture that special photo. Your entire photo and its background will be laser engraved into this 5 x 7" crystal beveled-edged crystal plate. 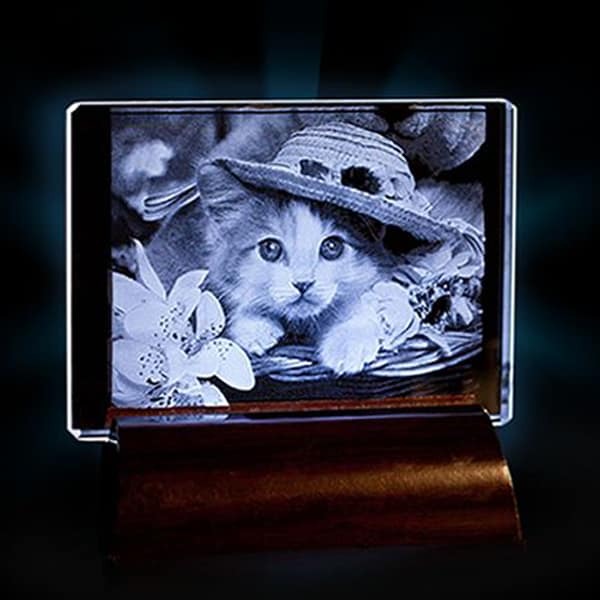 Wonderful for family or special occasion photos. 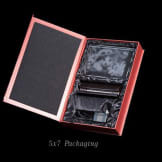 Choose between 2 orientations based on your picture (portrait or landscape). Your portrait will be illuminated with a handcrafted wooden light base. • Choose from Espresso or Chocolate-Brown colored base. 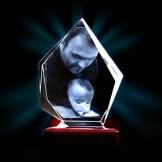 • Your photo will be converted into a 3D image and come to life inside this crystal design. 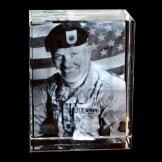 • The photo you send us of your loved one will be transformed into a 3D image, then laser engraved inside of the crystal you choose along with any text you would like to add. 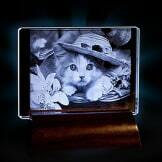 • Arrives in a velvet lined gift box. • Dimensions: 5 x 7".